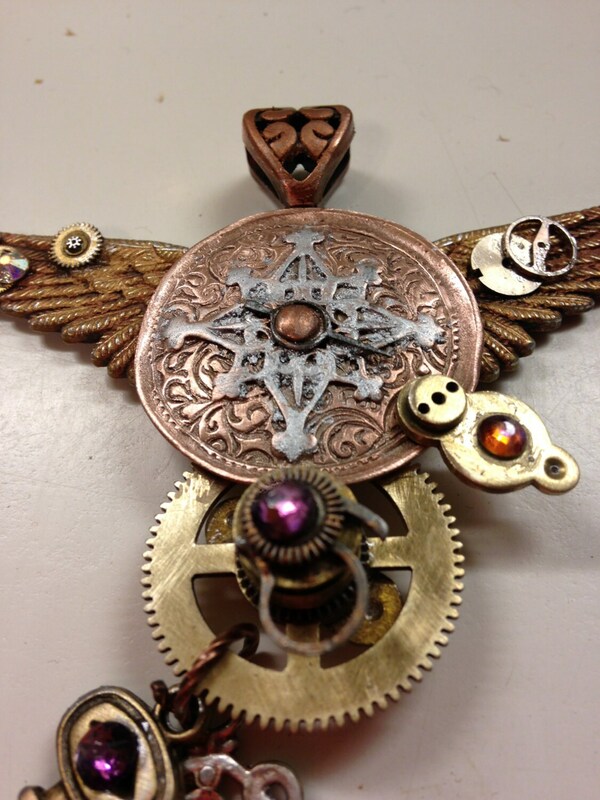 C100 special order ONLY, one of a kind, no two alike, STEAMPUNK necklace. 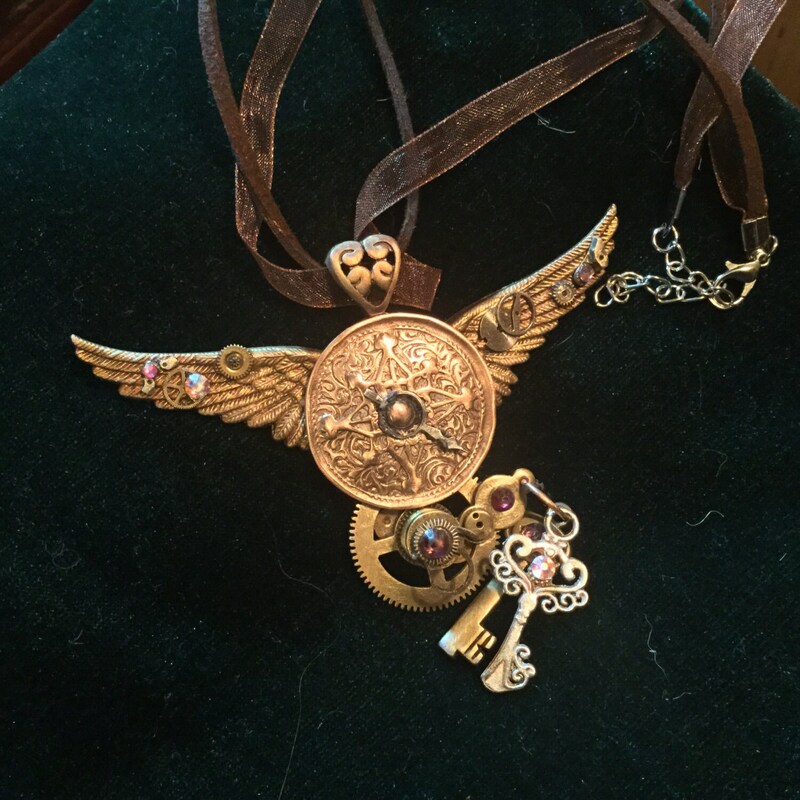 Center piece will be made from bronze, copper or silver, highly polished, with a sealant to prevent tarnish or reaction to the elements or the oils in the wearer's skin. To this hand crafted piece is added silver or bronze handmade design elements, and found objects. Each pendant includes tiny parts from actual watches and pocket time pieces that were purchased from a former watchmaker in Germany who recently retired. The watch parts are different on each creation but will include gears, watch jewels and watch hands. I add wings and precious stones and most creations will have something such as a key or gem that "hangs" and this will move with the wearer. 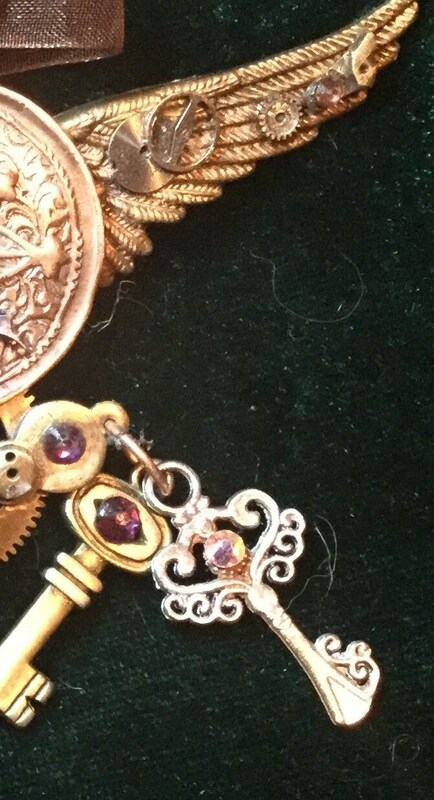 The pendant is finished on the front AND back as you can see in the photographs. 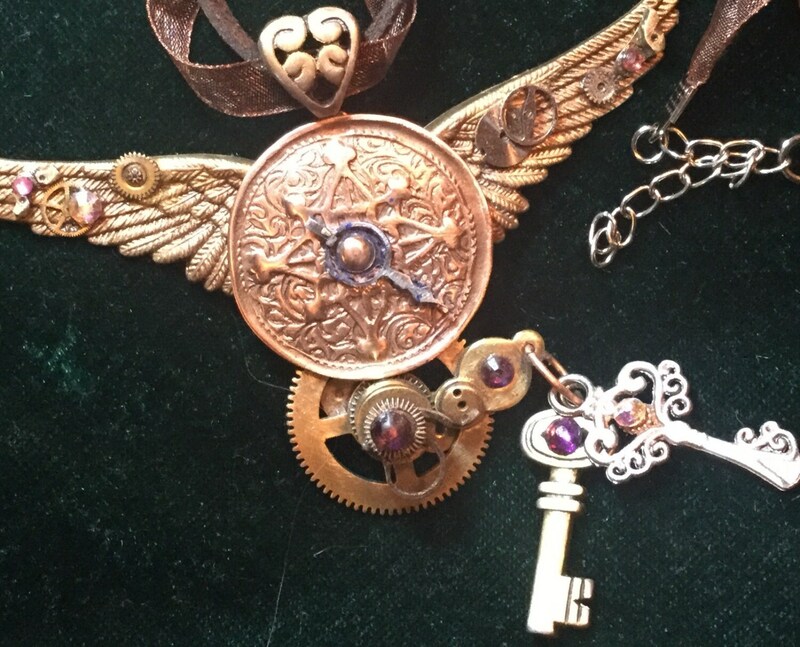 If you order one of my STEAMPUNK creations, please allow 3 weeks for it to be made. I will be in touch wth you to keep you informed of progress. Depending on my schedule, the piece may be done sooner. You will receive an email to alert you to shipping. If a silk cord necklace is not desired, let me know and I will prepare your pendant with a pure copper chain. 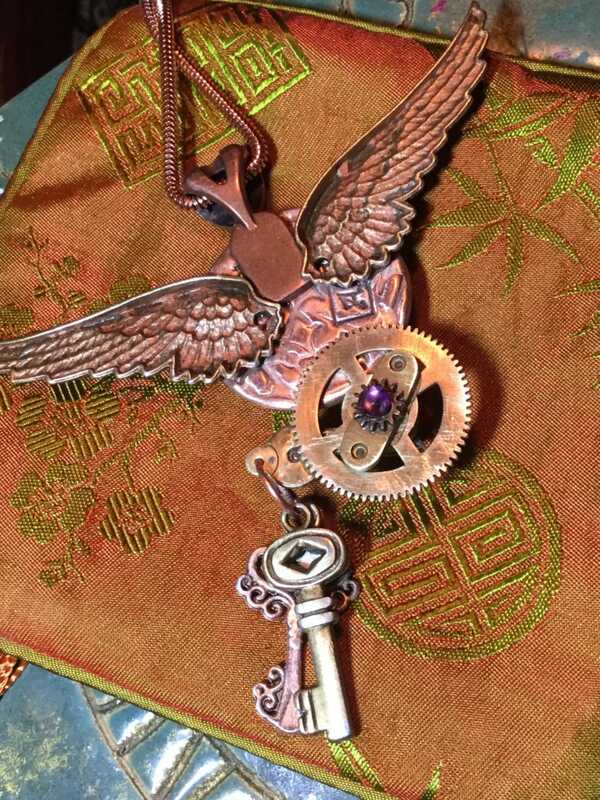 NOTE: Items C13 and C35 are steampunk pendants that are finished and ready for sale and shipping. If these items are still among the listings, they can be purchased now. This listing is for a SPECIAL ORDER similar to the images provided in this listing.